Product information "New York & Back"
Visit the "Big Apple" by train! 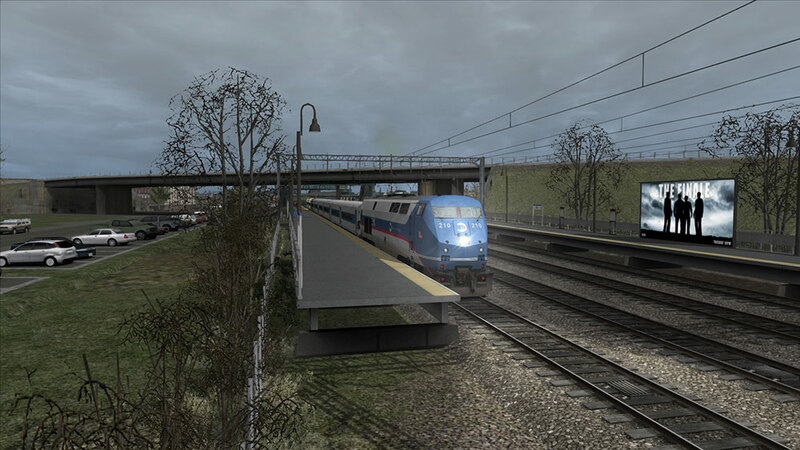 Enjoy six scenarios featuring dispatch and conductor radio messages on the New York - New Haven Route for Train Simulator. Drive various passenger trains, ranging from commuter services with frequent stops to express runs between New York and New Haven. 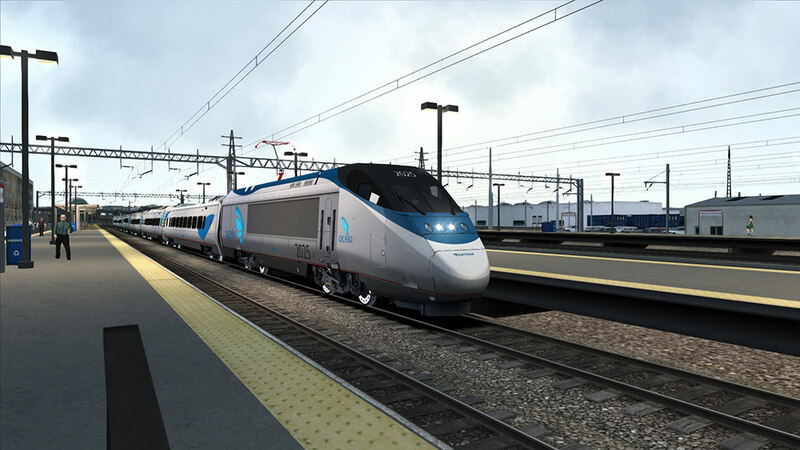 Amtrak, Metro North & ACELA trains need your full potential to takre the passengers to their destinations on time. Several hours of realistic gameplay including a variety of custom audio messages and realisitc traffic along the route await you! 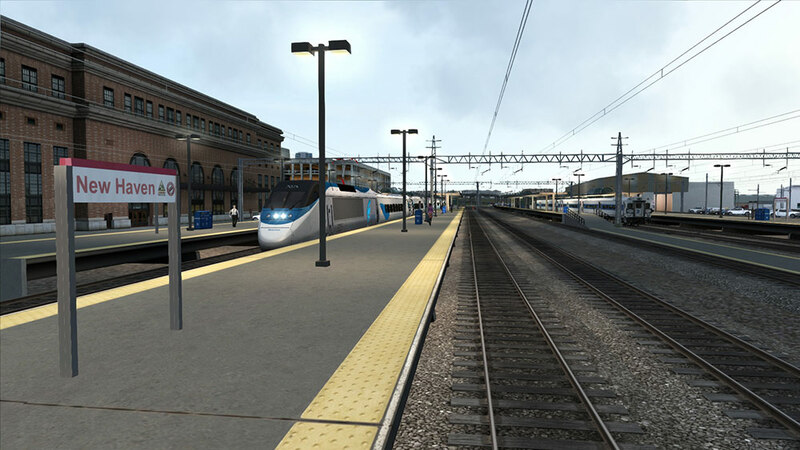 The first Acela service of the day, Acela 2151, operates south from Boston, down to the capital of D.C. You are in charge of the Boston to New York section of the service. Your currently at New Haven, and the conductor has given clearance for passenger boarding. You will be taking this service all the way to New York, while calling at Stamford en route. 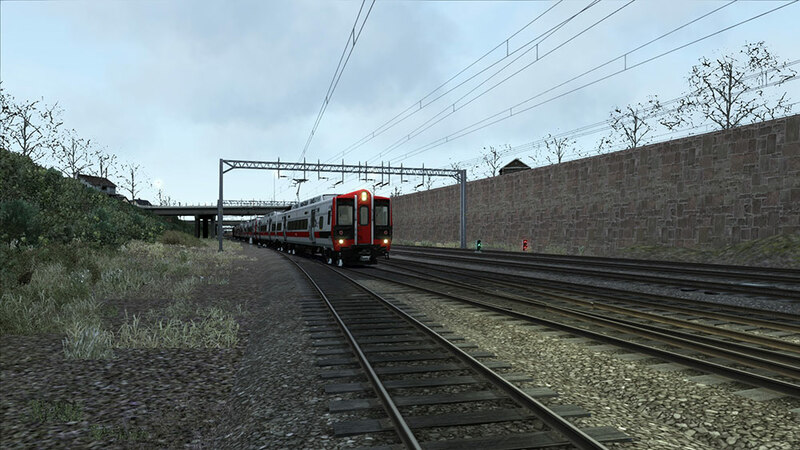 Metro North 6318 is a northbound service operating in Push Pull mode between Grand Central Terminal and New Haven. You have just arrived at Rye, and passengers are eager to board. Once passengers have boarded, highball for New Haven, calling at all stops en route. However, donít expect things to go to plan. Amtrak Acela 2164 has traveled all the way to Washington, and has just arrived in NYC. But at Newark Penn, a fault was discovered, leading to the Acela set being placed out of service once at New York Penn. Once all the passengers are off, the set will need to be taken to Sunnyside yard, were some mechanics are on stand by. Your task it to drive 2164 from New York Penn, under the Hudson, and over to Sunnyside. 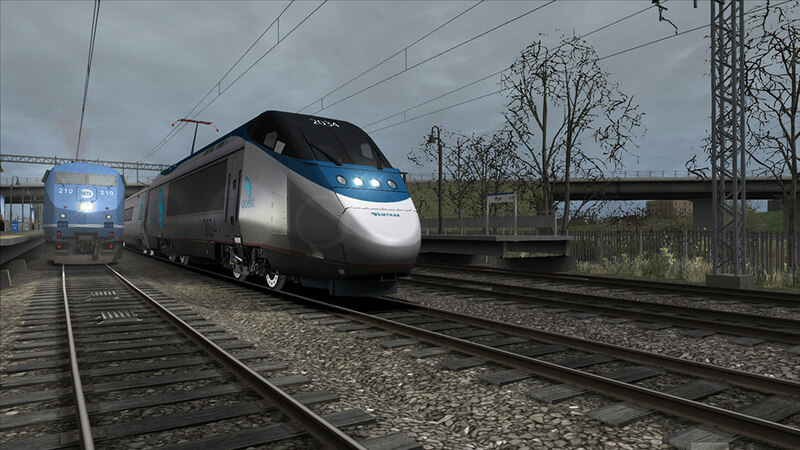 Amtrak Acela 2256 operates northeast from Washington D.C and reaching to Boston, arriving well into the night. 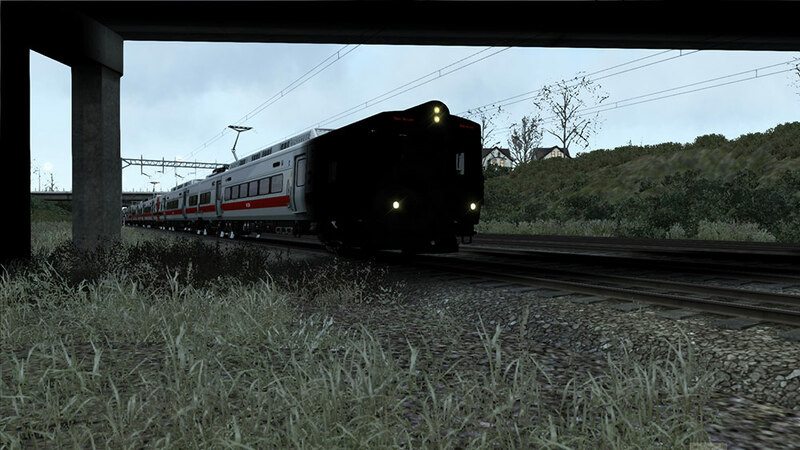 Youíre the engineer of 2256, driving the New York to Boston section of the service. Youíve just pulled into Stamford, and passengers are eager to unload and head home. Once passenger loading/unloading is complete, you will need to hightail out of Stamford and arrive at New Haven by 19:32. 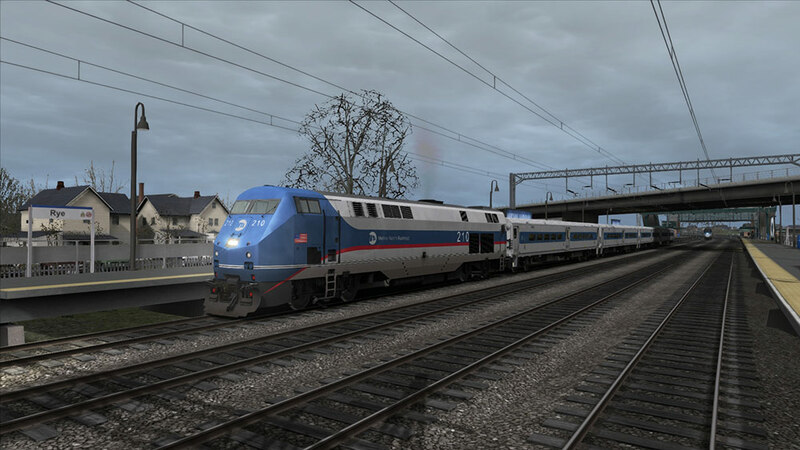 You are in charge of Amtrak Northeast Regional service Train 160, which operates north along the Northeast Corridor to Boston. You have just arrived in New York and Union Station, and you will soon be on your way to your next stop, New Rochelle. Related links to "New York & Back"